Nonprofits are used to hearing my strong warning that without at least one full-time, dedicated development professional on staff, they were jeopardizing their financial viability. As our nonprofit landscape became more and more competitive, the challenges of fundraising grew. The pool of dollars for which we all were vying was not keeping pace with the growth of the sector, the need to have different strategies for different generations of individual donors, and the seemingly rapid change of donor priorities, added complexity. Thus, it was no longer possible (if it ever really was), to be financially sustainable by relying on folks to do development as an add on to their actual jobs. We are at the point now where the same can be said about a full-time marketing professional: you must have one or risk going down. Scanning the headlines these past weeks, nonprofits around the country received a lot of coverage for doing what they always do. Sounds surprising, no? Nonprofits don’t get media attention the way for-profits do, just for doing what they are supposed to be doing. So, what changed? The population they were serving. All those nonprofits that stepped up to provide meals and clothing and medical assistance and on and on, doing, as noted, what they always do, drew the attention of the media because they were now providing these services to furloughed federal workers. The stories weren’t about the nonprofits; the stories were about the awful and undeserved plight of federal workers. So, if just for a brief moment, the media focused on the great work that nonprofits do for the people of their communities. But public relations resulting from chance is not a viable communications strategy. A medium-sized nonprofit here in Philadelphia, however, decided to seize upon the opportunity, not leave it to luck. 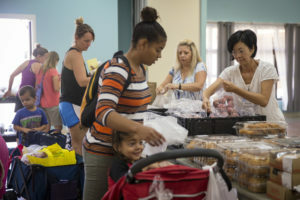 The organization hired a public relations expert to promote the work it was doing to feed local furloughed federal employees. And it paid off. The organization not only got coverage on four of the major TV stations here, but the story was picked up by the media in ten big cities around the country and distributed much more widely throughout the country, thanks to the Associated Press. The experience was so successful that the organization is considering doing it more often. When I asked why this time, there were several reasons, all of which were equally valid. With one exception, however, the reasons were specific to the uniqueness of this situation: different population served, broader reach into the community, unique opportunity. But the one exception in the reasons is the most important: it would bring in expertise that staff did not have, allowing staff to focus on what they do best. This reason is valid not just in exceptional times, but in routine times, as well. We need staff to focus on what they do best, but we also need people to know about the organization, the kind and quality of work we do, the skill and expertise we bring to it, the successes of our work, and more. How does that happen without a comprehensive marketing strategy that includes advertising, promotion, publicity, public relations and its persistent implementation? Suggestions for what to spend on a marketing budget for for-profits varies: the US Small Business Administration recommends that for-profits with gross revenues under $5 million spend 7%-8% of that revenue on marketing (and, they say, advertising, not understanding what integrated marketing is all about) if they have 10%-12% profit margin. Companies looking to grow should spend 10%. Others suggest 5% of gross income. In reality, what companies actually spend is a bit all over the map, varies by industry, etc. According to the February 2018 CMO Survey (the survey that has been looking at market spending, and more, twice a year for the last 10 years), spending on marketing as of February 2018 was 7.9% of gross revenue, up from the 6.9% of August 2017, and slightly down from the 8.1% of February 2017. I’m a realistic, so I don’t expect nonprofits to start spending 8% of their income on marketing. But I do advise them to get serious by starting small, perhaps 2% or 3% of their income (that’s 2%-3% of all strains of income, not just unrestricted income) and see the return. Be sure to spend it on the right things, though, starting with the development of a comprehensive marketing strategy, and one that matches the capacity of the organization to implement and measure the return. Failing to do this, however, threatens organizational viability.